Join us for the inaugural Spring Arts Romp, a fun filled family oriented arts walk that will lead families through a child’s view of Mansfield’s public art installations ending at the Carnival Side Show just in time for the main act. Everyone is invited to attend the official opening reception for the High Country Festival and Spring Arts event. Come along and celebrate the opening of the festival, view the Mansfield and District Community Bank Visual Arts Open competition exhibition and get ready for an exciting 12 days of arts, music, dancing, picnics, races, fairs and markets. The perennial favourite event of the Spring Arts festival, the now famous Spring Arts Walk will spring to life from the Delatite Hotel after the official ceremonies have concluded and the winner of the Mansfield and District Community Bank Visual Arts Open competition has been announced. Guests will be guided through the many participating cafes and retail venues in town, all of which have been transformed in to pop up galleries for the event. Look forward to seeing works by artists such as Ralph Bristow, Billie Leatham and Emma McPherson, just to name a few, exhibiting their works in venues such as The Produce Store, The Deck on High and The Mansfield Coffee Merchant. Pick up a Spring Arts Walk map for the full list of participating artists and venues. Get ready to enjoy a night of exhibitions, food, wine, festivities and activities, wonderful and memorable evening for all. Join us for a day full of lively activities for the entire family at the Arts Council of Mansfield’s Village Art Fair and Makers Market. Located on the median strip in High Street, we will have loads of children’s art based activities, a sculpture garden, bush poets, colourful entertainers and a wonderful array of artists and artisans demonstrating their craft and selling their artwork. This is a great day for the whole family. This year sees the introduction of a new literary event, the inaugural Spring Arts literary award, the Mansfield and District Bushy Tales, Poetry and Prose literary competition. Join us for an evening of poetry and prose recital as we enjoy a reading of works by the finalists in the competition. The winners of the competition will be announced and a booklet containing the works of the finalists will be available to purchase. Join us for an informative writers event. This unique one-day only, pop-up sculpture event will be held on the median strip opposite the post office. As the name suggests, anything goes and anyone can participate. Exhibition visitors are likely to see a myriad of wonderful exhibits as entrants are invited to explore as many ideas as possible – wrap a tree, Sound Sculpture, Puppets, Sticks and Stones, Wonderful Wood, Marvellous Metal, Courageous Clay, Wicked Wire, Mixed Media and more. You get to be the judge as judging for this event is by public ballot, you choose your favourite exhibit and vote for them. We encourage you to come along and enjoy this unique event. 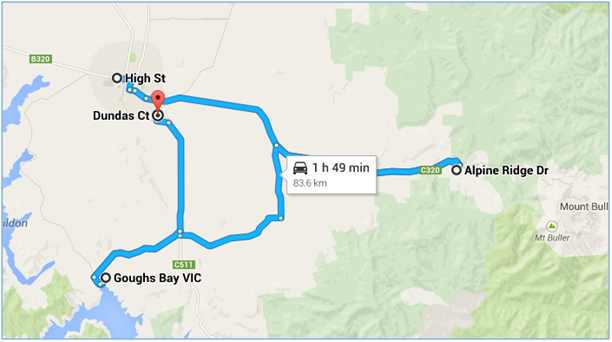 Enjoy our self-drive Arts Trail around the beautiful High Country area and visit the open studios of several of our local artists. View their artwork and take the opportunity to speak with the artists as you enjoy the surroundings of their inspired studios. 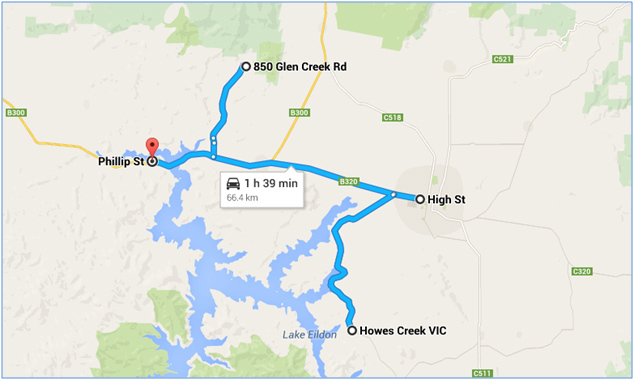 Take our suggested route and end your Arts Trail at the Bonnie Bar in Bonnie Doon or Amongst the Sticks in Goughs Bay. Enjoy lunch or a snack whilst viewing their Spring Arts exhibition.